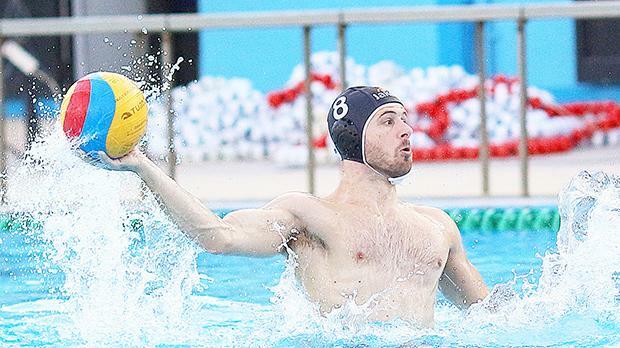 Neptunes player Jordan Camilleri will get his first taste of top class waterpolo at a club level after he agreed to join Italian A1 side AS Roma Nuoto. Jordan will team up with his brother Stevie Camilleri who last season played an influential role in helping the team win promotion to the Italian top flight after an absence of three years when topping the Serie A2 scorers list. AS Roma Nuoto possess an enticing mix of young players, all home-grown and who form part of the U-20 Italian set-up, making them a possible surprise package for the upcoming Serie A1 season. It is in this contest that the recruitment by Roma Nuoto of Jordan Camilleri, 25, gains in significance. “It all started when we were in Barcelona for the European Championships and AS Roma Nuoto approached me,” Camilleri told The Sunday Times of Malta. “I always held back from grabbing opportunties coming my way to complete my studies first. Now, the time has come to step up my game. I know my strenghts as a waterpolo player and will try to make the most of this opportunity and be ready for it,” he added. Camilleri, a doctor by profession, is taking a sabbatical from medicine to pursue his dream of becoming professional waterpolo player. “For me this is a great chance to start a professional career in waterpolo. My brother influenced my decision to join Roma but it was not the determining factor. “Roma will not be a new environment for me due to my frequent trips to the city to see my brother playing. Camilleri said that he is not envisaging particular difficulties in adapting to a professional life where players are fully dedicated to the sport as this their full-time job. “Obviously, there will be the normal difficulties in the beginning to adapt to the new life and settle in the team. “I need to step up a notch or two as playing abroad, especially in such a competitive league as Serie A1 with the world’s top players, is difficult. But I’m sure that by training with some of the best players on the continent, one can only improve his game in all senses,” he said. Last Thursday, Roma Nuoto officially announced Jordan Camilleri’s signing on their official website. In a club statement under the title, “Malta calling, Jordan Camilleri is coming!” the club said that the defender was the first major signing since their return to A1. The club president Nicolo Cristofaro said that they were impressed by Camilleri’s determination and desire to become a Roma Nuoto player. Cristofaro added that he was convinced that Camilleri fits in the club’s ethos and would give the team a helping hand to the team. The reputable Waterpolo Development Forum website also gave prominence to Camilleri’s switch to Roma Nuoto, saying that capital city has doubled the Camilleris in their team.